Product Description Aged Charm. 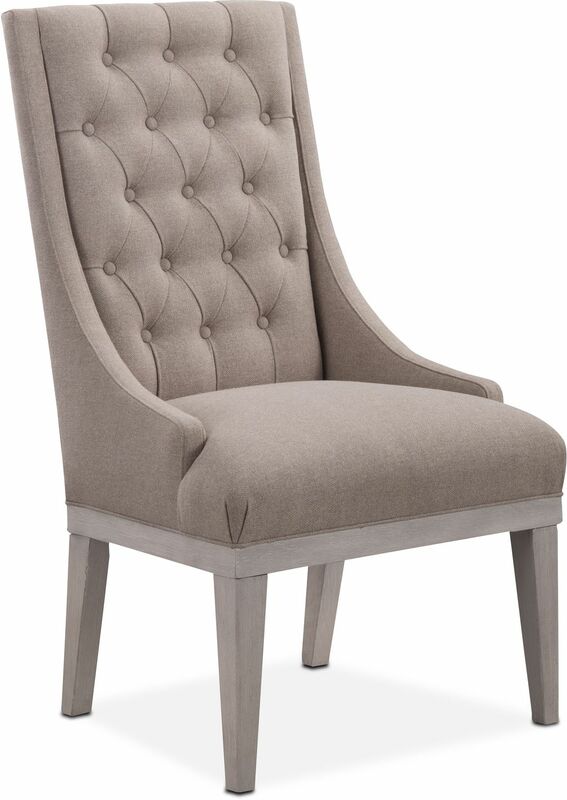 Reap the benefits of the regal Lancaster host chair that celebrates the look of intricacy with its sophisticated design. Exuding traditional appeal, rich wood grains on the tapered legs and base, and button-tufted back add a picturesque quality to this piece. The neutral, light-colored tweed upholstery lends both comfort and style to this chair, adding a mix of function and fun, suitable for any occasion. Some customer assembly required. Unique Features: Button-tufted seat back lends refined look to dining area. Comfortable seating allows guests to dine while enjoying long-lasting conversation.